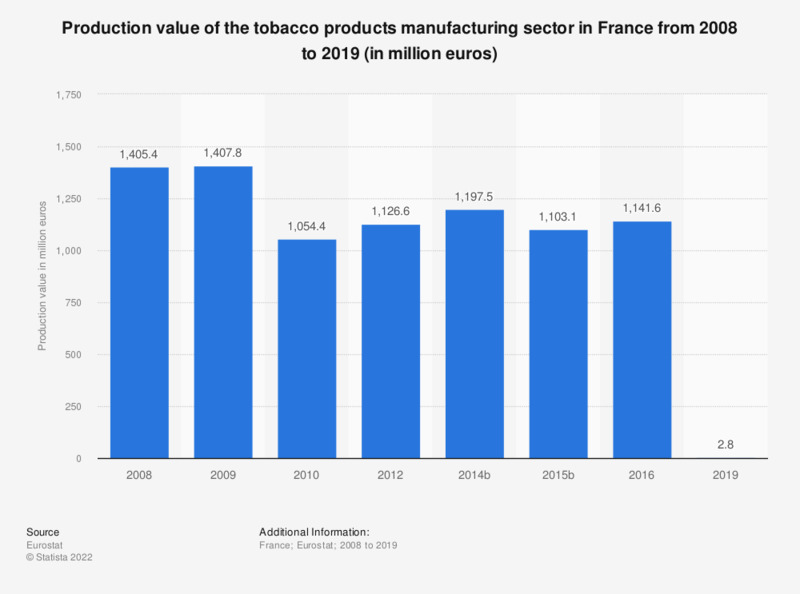 This statistic shows annual production value of the manufacture of tobacco products in France from 2008 to 2016. In 2015, the production value of the tobacco manufacturing sector in France came to approximately 1.1 billion euros. ** Break in time series..
Data coverage corresponds to Section C12 of NACE Rev2.